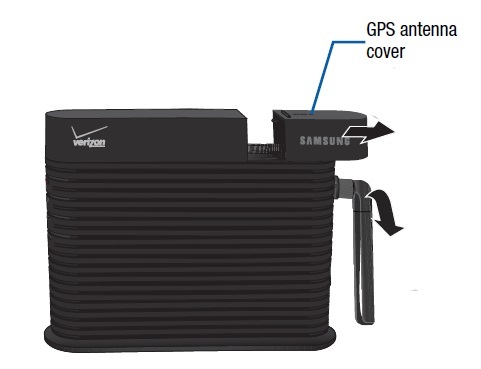 We receive at least a question per week on how to attach an external GPS antenna to the Verizon Wireless Network Extender. Hopefully this post will help everyone. Attaching the antenna is quick, easy and helps immensely to attain the 911 signal. Detailed instructions on how to do this can be found in the user manual or in this excellent video. Many think they remove the current antenna and that the external antenna attaches there. That’s not where the antenna goes. The key to installation is knowing where the secret compartment is located. 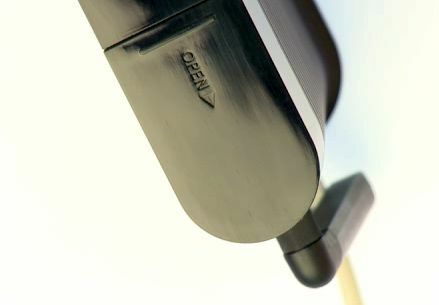 Look at the top of the extender near the back and you will see a small compartment door that says ‘open’. Open it up, pull out the adapter and that’s what is used to attach the antenna.